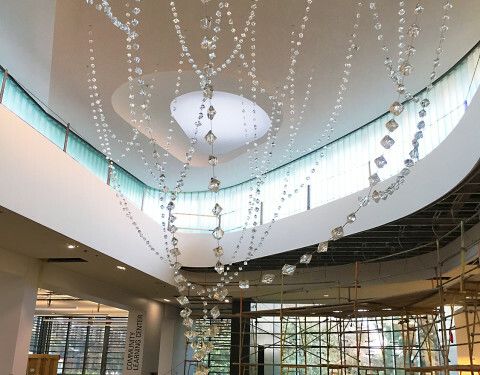 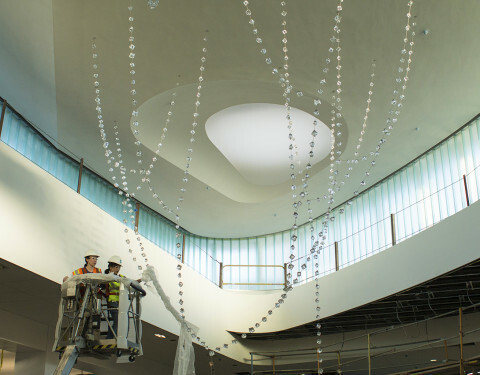 Inspired by the concept of Net Zero energy building design and the heritage trees in the plaza, the new suspended sculpture for the Atrium will capture and reflect the feeling of looking up the very tall trees. 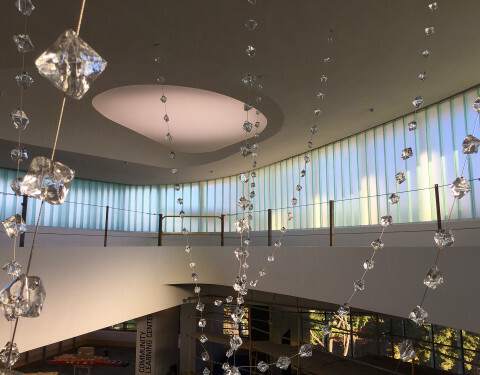 The branches reaching up to the sky, collecting energy from sunlight and rainwater, and bringing that feeling inside the atrium. 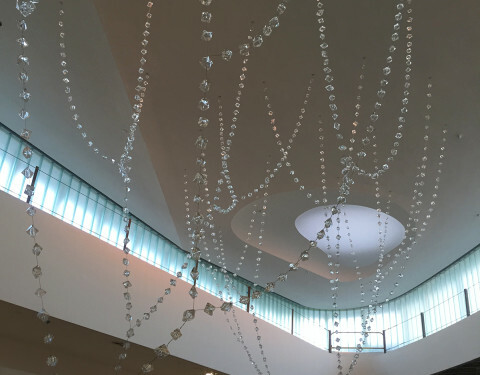 The detail of the sculpture embraces the historical aspect of the Hayward—Salt industry from the 1850s to 1980s. 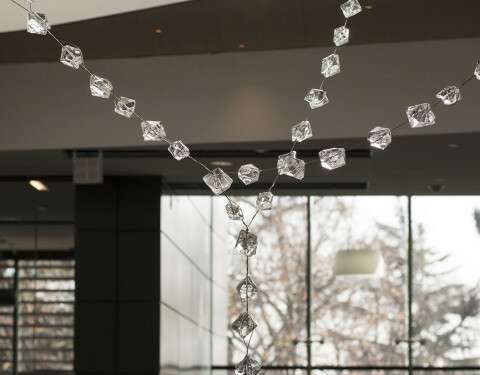 The fact that salt was harvested using the sun—or solar energy and the “Archimedes screw pump” which used “wind” as an energy source. 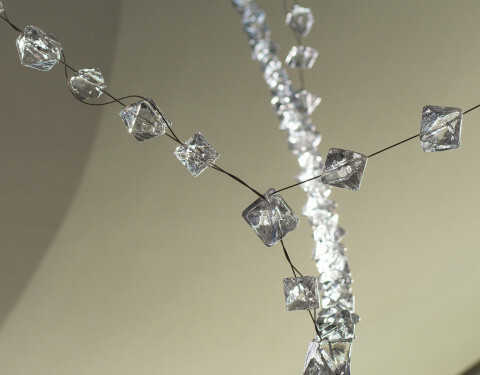 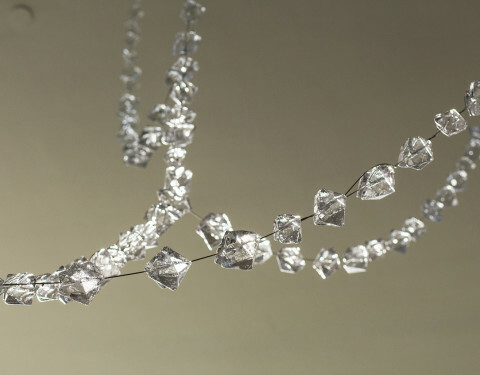 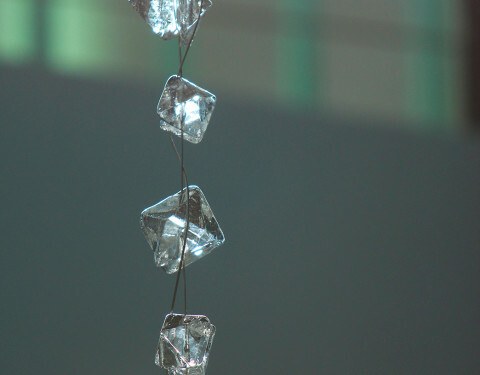 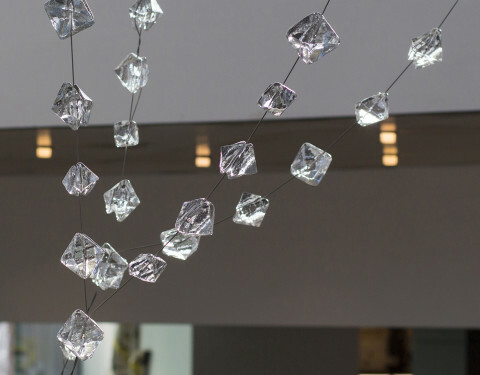 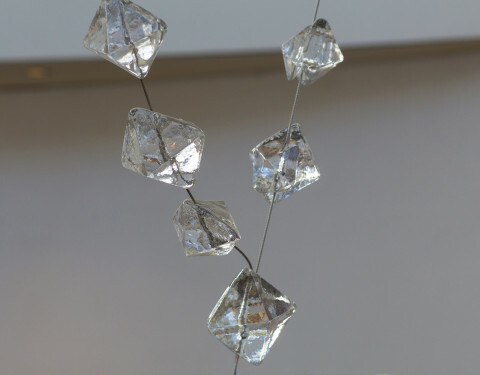 This is reflected by using the “salt crystals” to utilize in the new suspended sculpture.